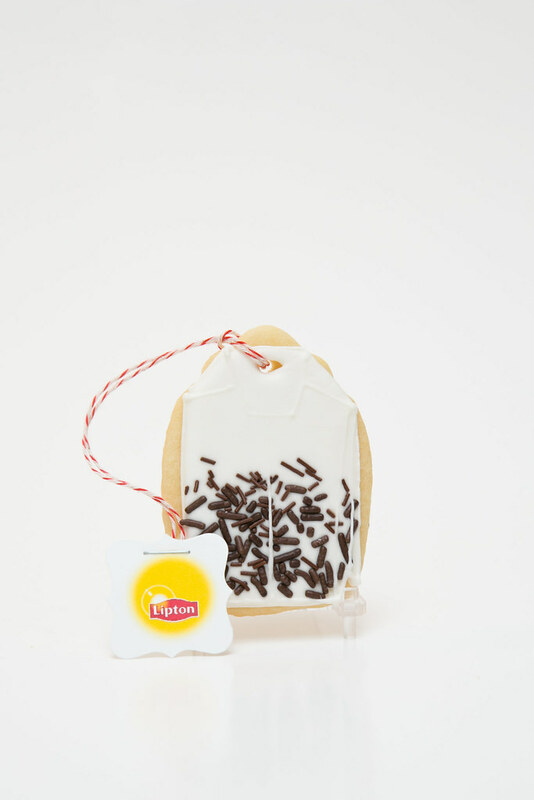 Vale ordered a set of Lipton tea bag cookies (similar to the ones I made for Lucy's 3rd birthday) to mail as a gift to her tea-loving bestie, Kristi. 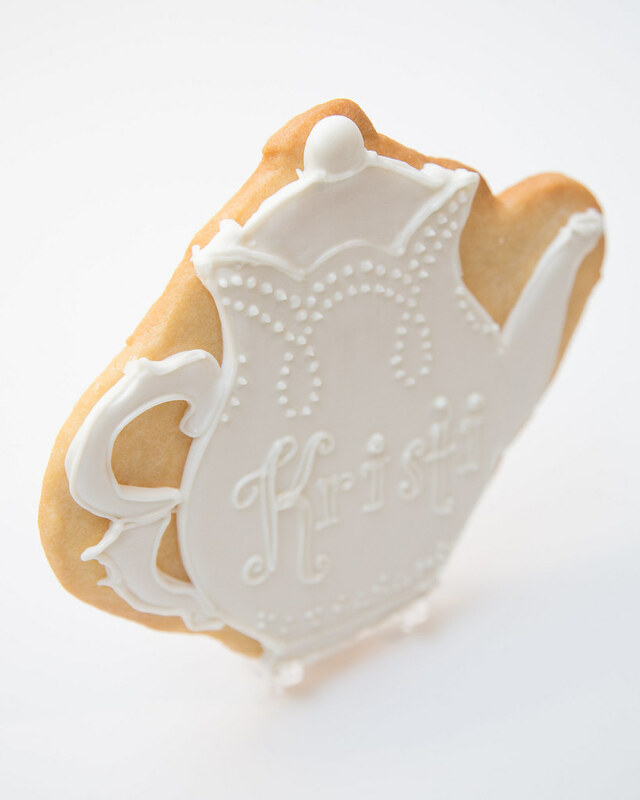 She also asked for a big tea fancy tea pot cookie with Kristi's name on it and a cow milk pitcher. 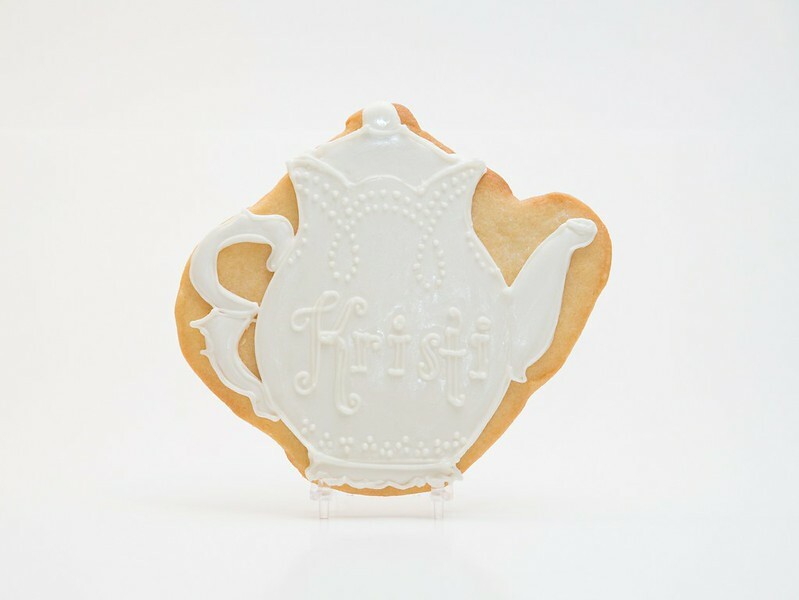 I decided to keep the tea pot and creamer cookies all white -- I thought it had a nice simple look, and kind of reminded me of a pretty porcelain or "milk glass" item that I'd want in my own cupboard. 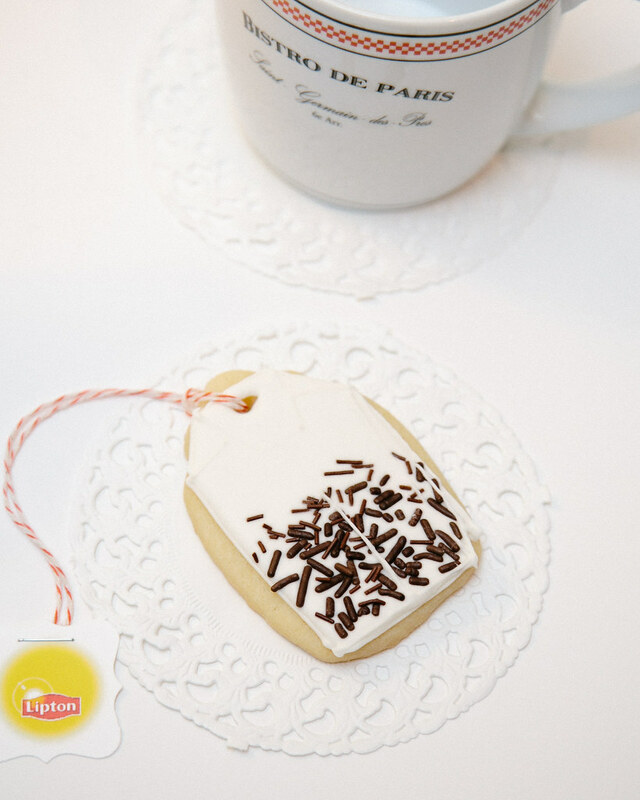 According to Vale, Kristi sort of ironically loves a go-to bag of Lipton tea. With all the fancy choices out there, I guess sometimes you just like what ya like! 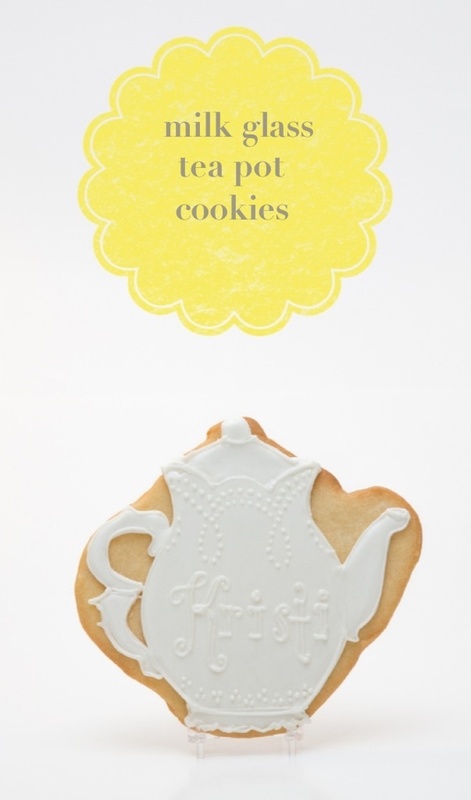 So, that's why there are the Lipton tags on cookies. You know, little things between friends. 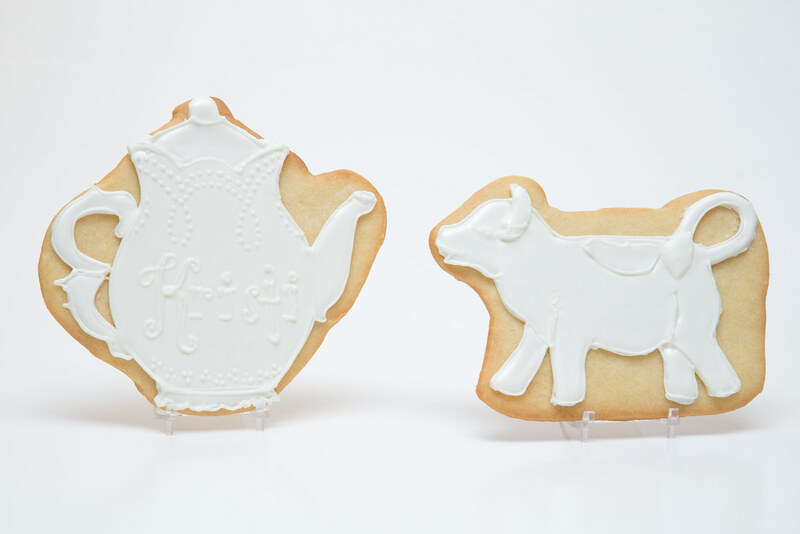 :) By the way, I don't think you can tell from the photo but the tea pot and cow pitcher cookies are pretty big. 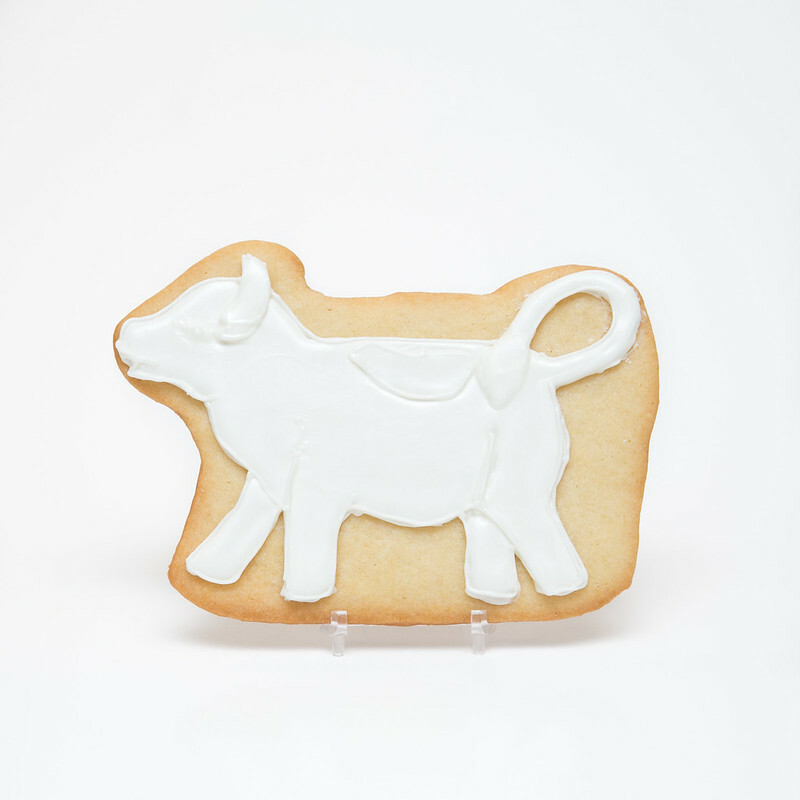 Kind of a fun addition to a dozen normal sized cookies, yeah?